Transforming the (CX) customer experience is more important than ever for enterprise businesses. Strong forces – including the threat of continual digital disruption and fierce competition from smaller, disruptive competitors – create immense pressure for businesses to speed up their transformation efforts. Companies often talk about embarking on these large-scale efforts, but what does that really mean? 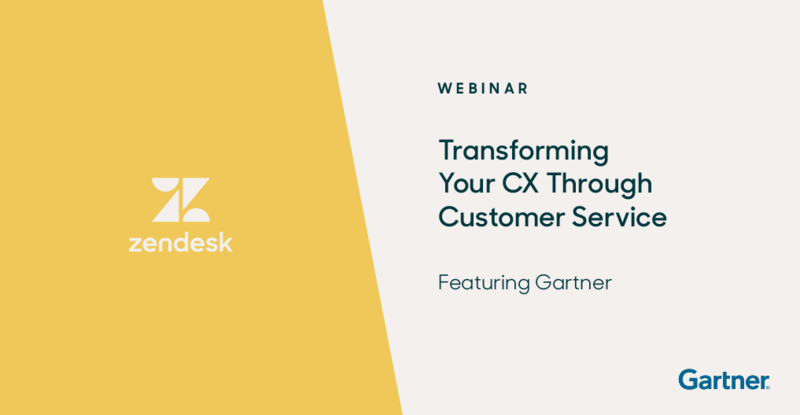 Join Gartner expert Brian Manusama and Zendesk General Manager David Williams as they discuss why this is a critical time to start with your customer service strategy. Interested in learning more about Zendesk? Contact us here or view a demo now!